The Francis Wayland Institute exists for the purpose of propagating and defending from a Christian perspective the ideals of liberty, property, peace, free markets, limited government, and sound money. It is not a Bible institute, a college, a seminary, a correspondence school, or a school of any kind. 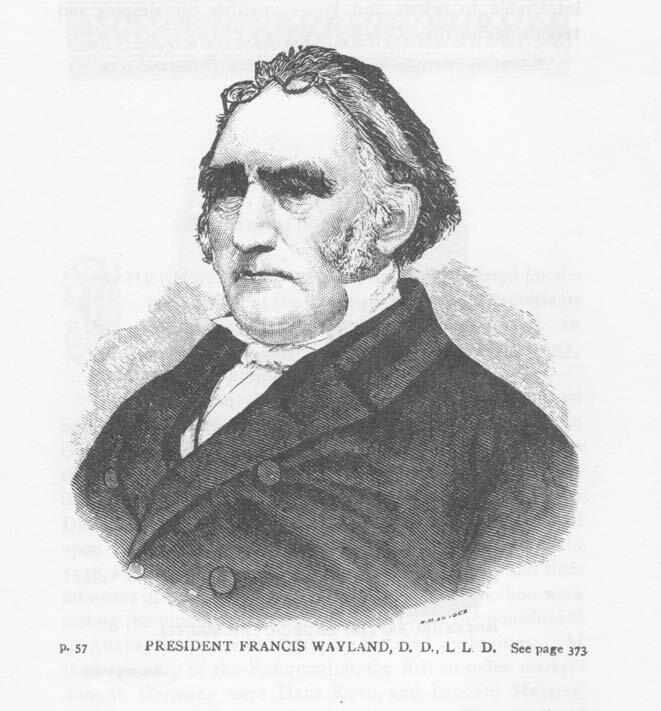 The Francis Wayland Institute is a think tank in the intellectual tradition of the nineteenth-century Baptist minister Francis Wayland (1796-1865). The Institute is dedicated to making available online and printed materials that uphold the ideals of liberty, property, peace, free markets, limited government, and sound money from a Christian perspective. Francis Wayland's classic work on economics, The Elements of Political Economy, is now available online in PDF and Scribd, as well as in a newly reset hardcover edition. The director of the Institute is Laurence M. Vance. His article about Wayland called "Francis Wayland: Preacher–Economist," which appeared in the Winter 2006 issue of the Independent Review, can be seen here. He is the author of War, Christianity, and the State; War, Empire, and the Military; and twenty-two other books. All books currently offered can be seen here. Contact the director here. The Institute is maintained solely by the voluntary contributions of like-minded individuals. Donations accepted; Benefactors sought. Links to Important Articles on Christianity and War, Christianity and Economics, and Christianity and the State.